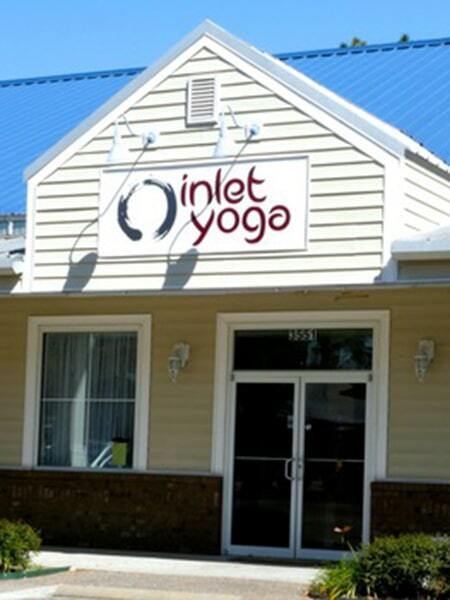 At Inlet Yoga we believe that yoga is for every BODY. Whether you are young or old, thin or heavy, strong or weak, tight or flexible, healthy or injured, experienced or a novice, yoga helps everyone to be the best that they can be in every way, both on and off the mat. Our teachers are not just teachers, but also practitioners who do just as you do – get on the mat and practice yoga. Yoga is not what we do it is who we are. Each of our teachers adds their own personal touch to their classes while keeping true to the traditional teachings we have been trained in and continue to train in. Yes you may experience challenge, difficulties and maybe even some discomfort, but know that at Inlet Yoga you will find a place of guidance, support and compassion so that you can breathe and move with grace and intention.